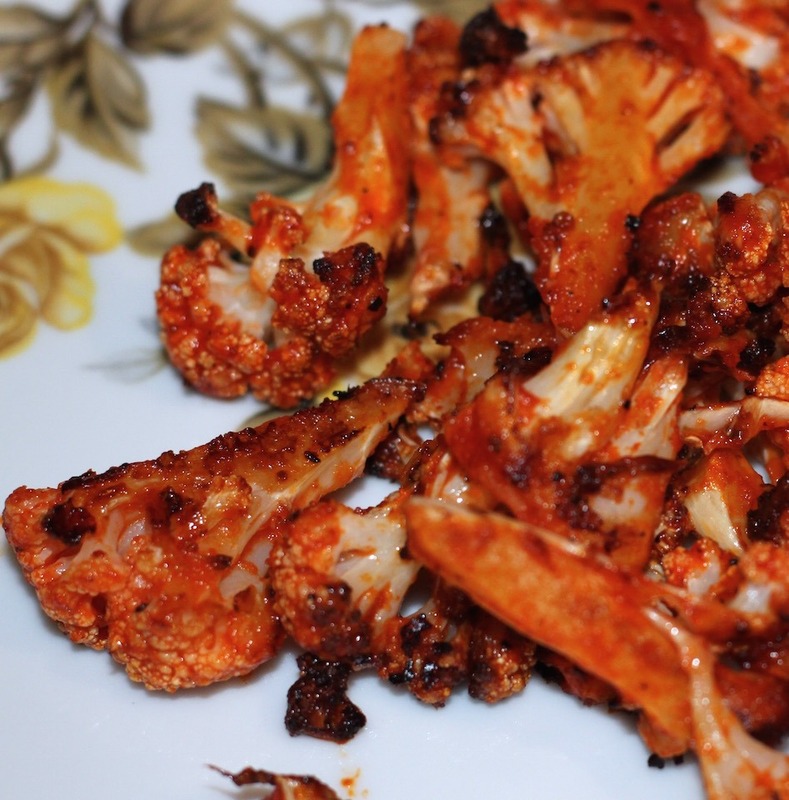 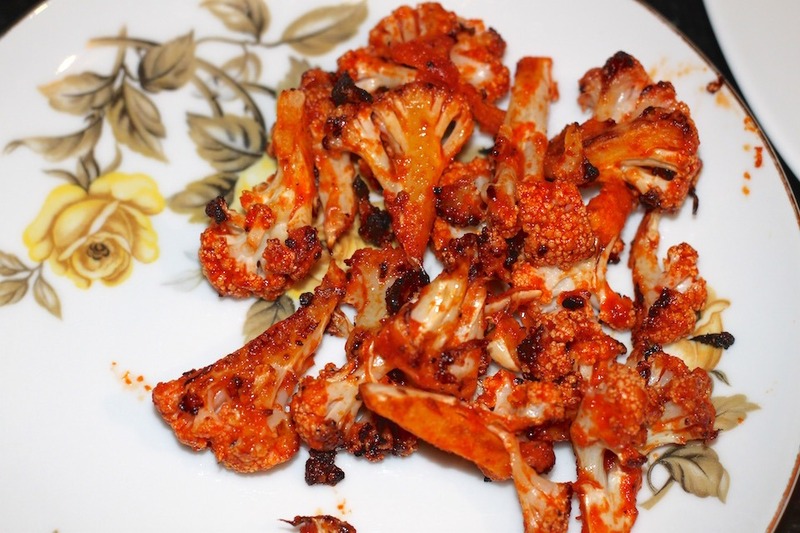 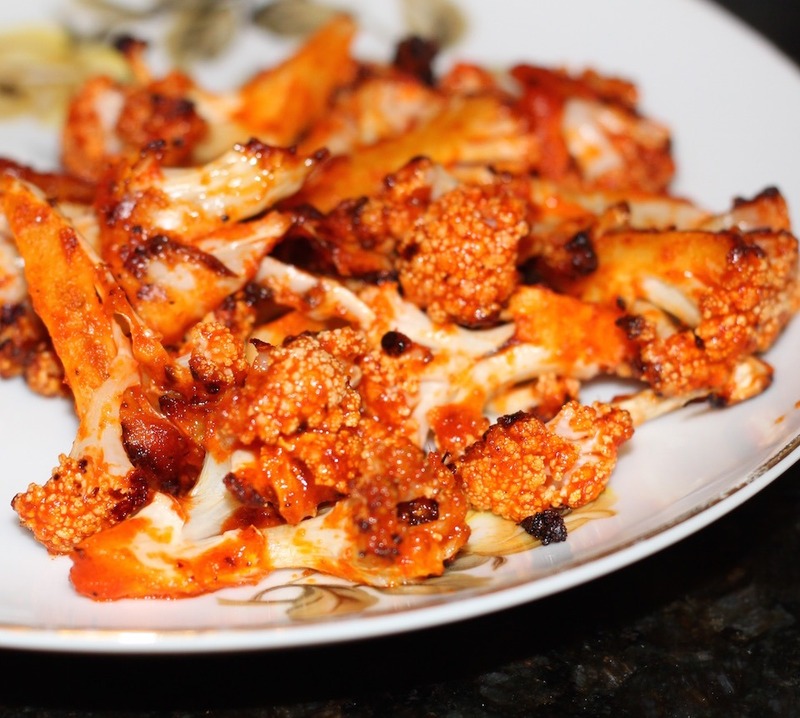 Spicy buffalo cauliflower bites are a delicious replacement for chicken. 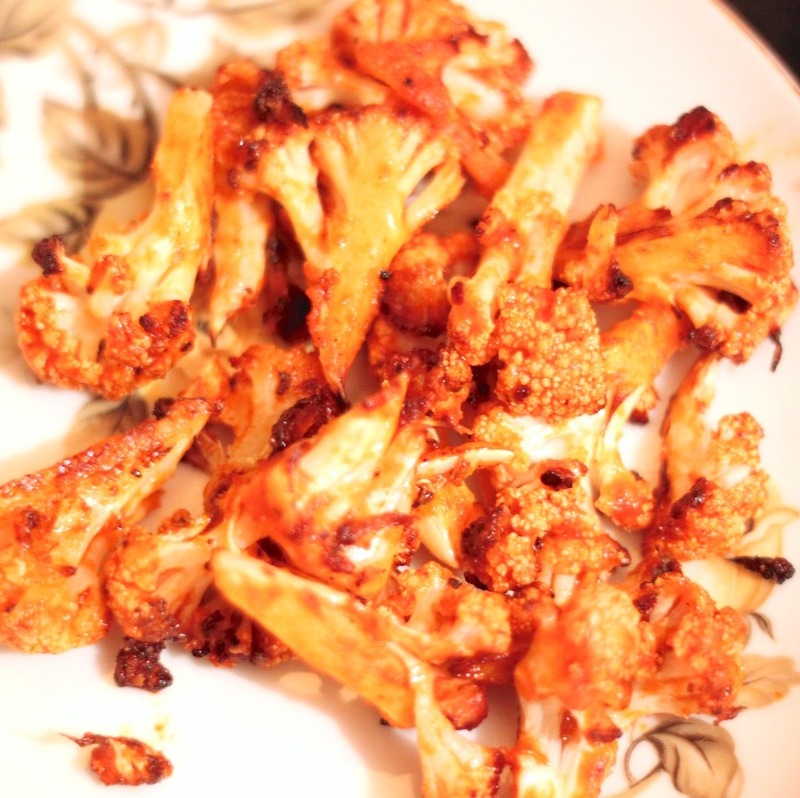 Easy to make and great as a snack or dinner side. 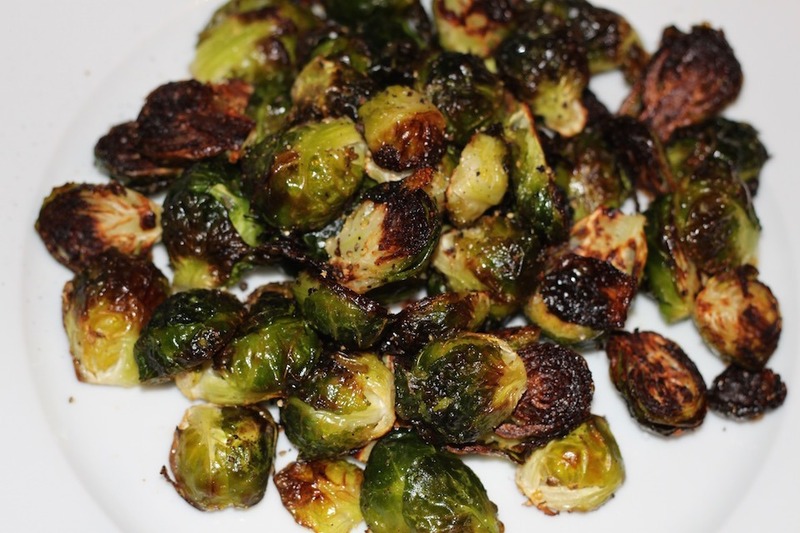 Brussels sprouts are a yummy side to serve with this– simply coat trimmed/halved sprouts with olive oil, garlic powder, salt and pepper and roast in the oven at 400 for about 30 minutes.